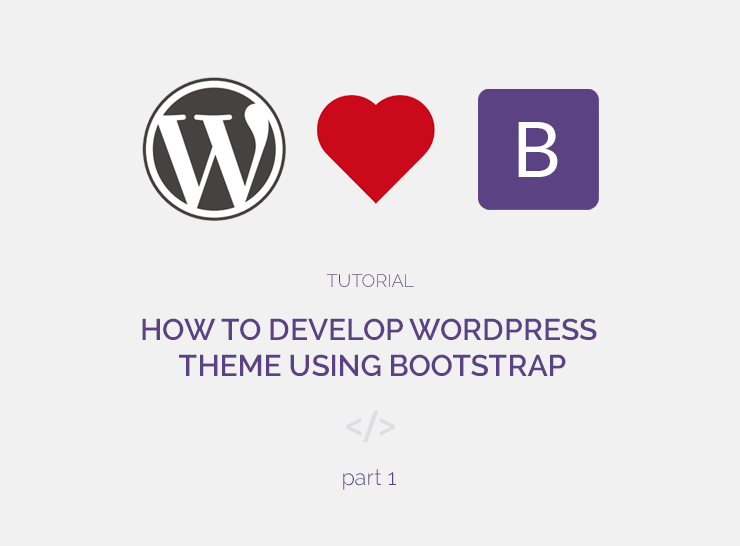 This is part 2 of a series of tutorials aimed at describing how to create a WordPress theme from scratch using the Bootstrap CSS framework. This tutorial series is ideal for PHP developers looking to move into WordPress theme development or beginner WordPress theme developers wanting to expand their knowledge and creating a responsive Bootstrap WordPress theme. In part 1 of this tutorial, we discussed the basics of setting up the theme files, enqueue stylesheets and scripts, and display the blog feed using The Loop. Just to recap, we are using one of the starter example templates from the Bootstrap website for this tutorial: the blog template which is a simple two-column blog layout with custom navigation, header, and type. In the next installment of this tutorial, we look into developing a carousel for the theme by utilizing the Bootstrap carousel component. In the previous installment of this tutorial, we had set up the header.php file, but the navigation and site name and description are still static. Lets edit header.php and take care of these elements. This menu would appear in the “Theme Locations” box as “Header Menu”. The admin can create a new menu, add items (pages, custom links, categories, etc.) to it and then assign the menu to the “Header Menu” location. Now in order to display the menu, we need to refer to the menu slug or identifier at the point in the presentation file (header.php file in our case) where the menu list is going to be displayed. The function to use here is wp_nav_menu(), which you will need once for each menu location. This tells WordPress to display the menu assigned to the “header-menu” location and use the CSS classes “blog-nav” and “list-inline” for the ul element. For the purpose of this template, we do need some extra CSS for the top navigation since we’ve changed the format from simple links to list elements. I’ve added the required CSS in the stylesheet; you can download it with the final code. Now lets move on to the next static block of code in header.php, which is the blog header or the blog name and description text. That’s it for the header.php file – we will now have a dynamic menu and the top of the blog will show the name of the blog along with the tagline. Use a widget here. It could be a Text Widget, and the user would have the freedom to enter anything he wanted here. Use a theme setting. Retrieve a modification setting for the current theme and display it here. This gives the theme more control on what can be entered here and how it will be displayed. 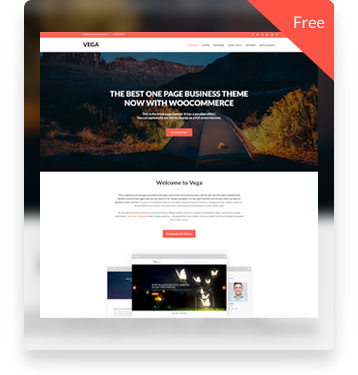 For the purpose of this starter template, lets use a widget for this footer area. So here we begin widgetizing our theme! Widgetizing is a pseudo word that describes the process of implementing Widgets and Widget Areas into a WordPress theme. 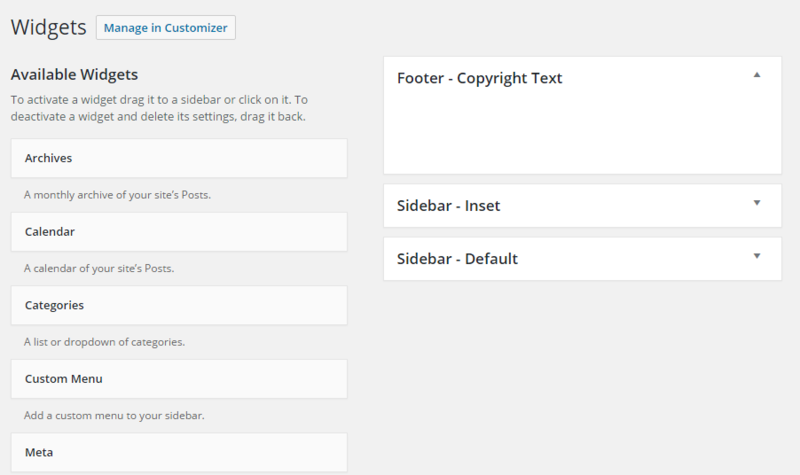 We first check if the sidebar called “footer-copyright-text” is active or in use by using the function is_active_sidebar(). Any sidebar that contains widgets will return true, whereas any sidebar that does not contain any widgets will return false. 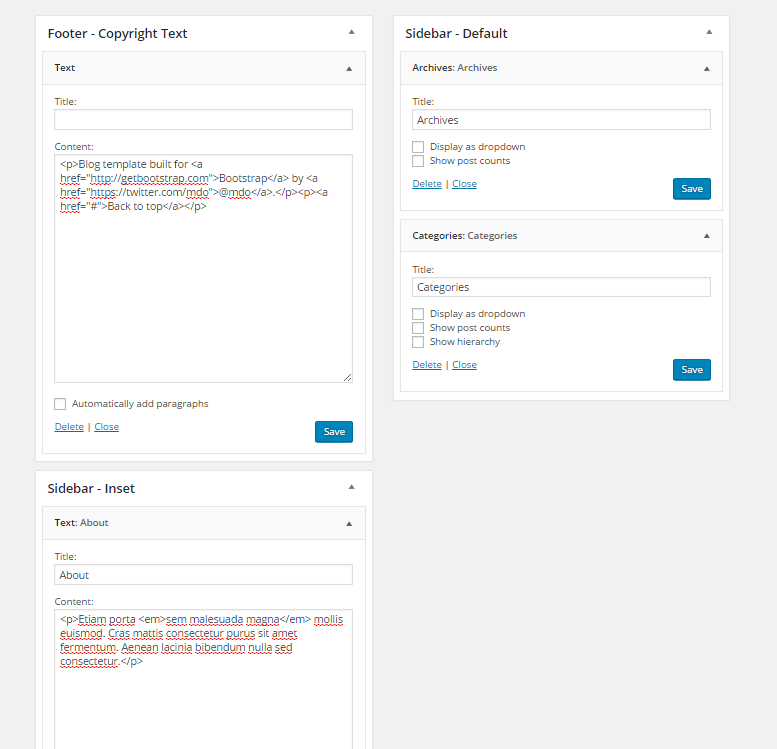 If the sidebar is in use, we use the function dynamic_sidebar() to display the widgets assigned to the sidebar area “footer-copyright-text”. Now that the footer is widgetized, a Text Widget containing the HTML we removed can be assigned to the “Footer – Copyright Text” sidebar. The sidebar should be straightforward now that we know how to create widgets. Lets create two widget areas here – if you look at the starter template we’re following, you’ll see that the top widget (“About”) has a grey background. We’d like to treat that one separately – so we register up two sidebar areas: one with the background color and one without. After doing all the above, lets go to the administration area and go to Appearance > Menus. 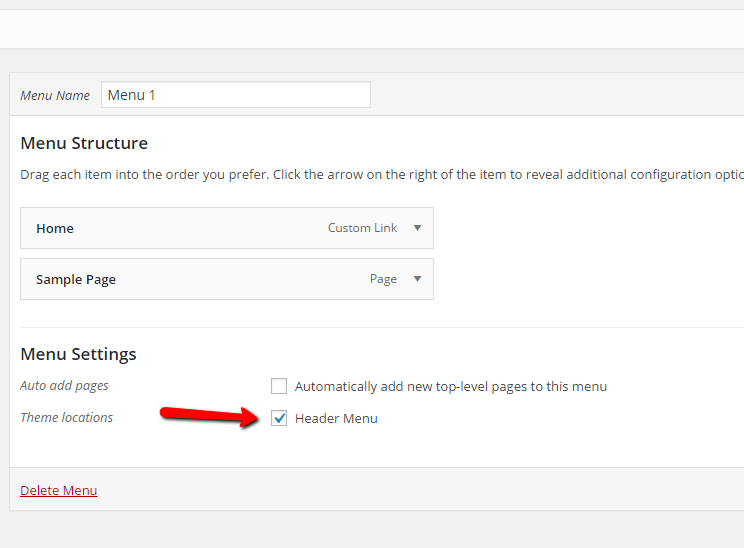 Create a new menu, add a few items to it and assign it to the “Header Menu” location. That should do it! 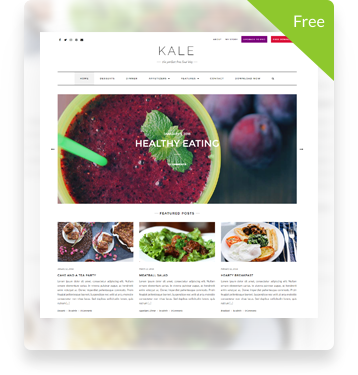 Look at the front end and you will have a fully integrated blog template complete with a sidebar. Pat yourself on the back and take a break. Note: it contains the CSS fixes and tweaks for the top navigation bar and sidebar lists. 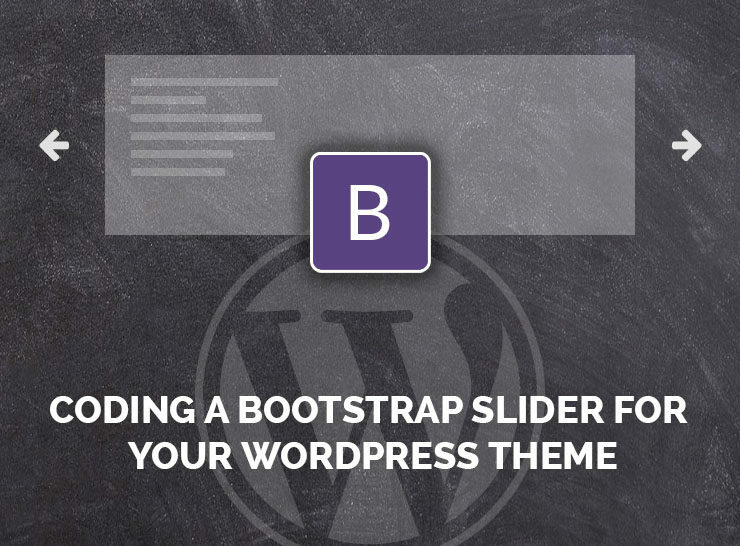 Learn how to code a slider for your WordPress theme using the Bootstrap CSS Framework Carousel component. 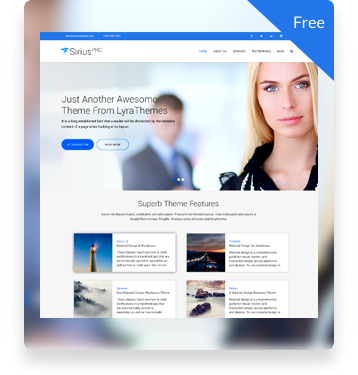 Builds upon the previous two tutorials that dealt with creating a basic WordPress theme based on the Bootstrap framework. Hi there. I just wanted to say thank you for the tutorial. I am a beginner to WordPress, and I am trying to learn wherever I can. I am running into a bit of an issue with the CSS file. I see where you assisgned the class “blog-nav” and “list-inline” in the header to the menu, but when you run the source code it appears to not respond to the CSS. It still has bullets and will not respond to any change. When you inspect the item it tells you that it is listed under “ul” and “li”. When you give “list-style-type: none;” to ul, and “display: inline;” to li it fixes it. But I was wondering if there was a way to target the primary menu only. Thanks again. I had a similar problem and instead of using ‘theme_location’ => ‘header-menu’, I had to use ‘theme_location’ => ‘top’, when setting up the menu in header.php. First of all, thank you for giving us this tutorial! It was a great help to a beginner like me. I have a problem, though: for some reason, the footer sidebar isn’t showing. I checked the code and it’s identical, I even tried to substitute mine with yours in case I made some mistake but nothing works… The other sidebars are fine. Do you have any suggestion on what might be wrong? Hi! You’re most welcome 🙂 Do you mean the footer copyright text is not showing up for you? thank you for the tutorial. I am a beginner to WordPress, and it just help me alot..
How could I change the colors of the elements I.E the blue menu on the top? I tried editing style.css but doesn’t work. I dropped your theme into my folder just to test things out since I’ve been having issues with this tutorial. The wp_nav_menu generated displays as bulleted items still an that’s directly from your source code completely unaltered. Also worth noting I ran into issues when setting up the footer’s widget. You’ve got the is_active_sidebar & dynamic_sidebar both calling for footer-copyright-text when it should be footer_copyright_text. Otherwise when you use the widget, nothing appears in the footer. Thanks for pointing this out Zachary, I’ll post an update! HI. Thank you for this awesome turtorial. For some reason my CSS files does not work on the website..
I’m also having problems with the navigation menu. Only standard bulleted items and this is with your unaltered scripts (and after making a header-menu in admin, of course). Please help, I can’t find where the problem is. [ even on very wide monitors 🙂 ] It stays right under the main module all the time. Is there a very simple css trick to give it more responsive behaviour? Thank you, This very useful to me. thank you for that wonderful tut. I am rather experienced with wordpress codeing, but I usually always use the _s-master theme for creating new websites. Maybe bootstrap will be faster because all the grid-stuff and the responstifity is already included. I will give it a try and see if I can work faster with bootstrap. Therefore I would like to know if I understood it completetly right: If I download all of your example-files and upload them into a wordpress installation, then I can start immediately with coding on a boostrap basis. Is that right or did I overlook something? Menu is not responsive though i didn’t had any problem with ul and li.keep up the goodwork. Great Tutorial. It works fine. Thank you very much! So great turorial part – 1 and part – 2 thank you. Thank you very much for the tutorial. It was very easy to follow your explanations and helped me a lot. Thanks again. For some reason my footer widgets/content will not show on the published site. In the backend, I can add widgets, but the content will not show. I hope someone can help me with getting it to show. The two other widget areas show. For each variation I changed all the necessary code to match the associated string but the footer only appeared when I used the string with the underscores. This is a really good tutorial for anyone taking their first steps in theming for WordPress as it can be a very daunting experience. Even I was about to give up until finding this. 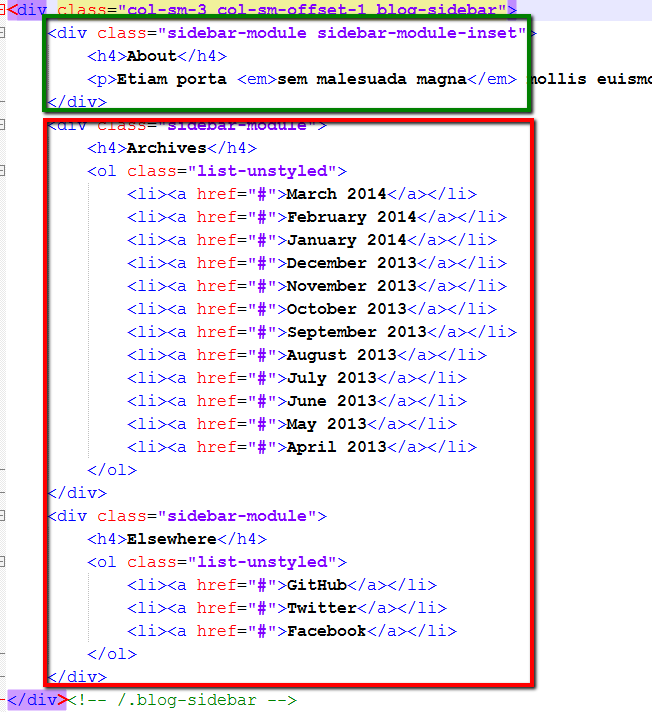 Again Footer Problem: The downloaded functions.php still shows the ‘id’ as footer-copyright-text.